Updated mind can crack anything. 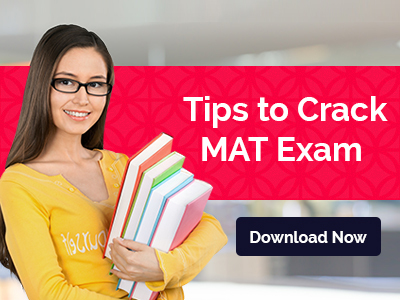 MAT 2019 is one of the most important examination strategies that one should keep himself/herself updated about the latest events and current affairs. One should have a great knowledge of Indian & Global Environment for a separate Section in order to crack MAT 2019. To do so one has to read newspapers, magazines, and watch business channels to keep you abreast of developments in the corporate world. The best way to revise is to revise through your notes you prepared while preparing for MAT 2019. MBA Rendezvous wishes you all the best for 5th May MAT 2019! !